Reliance Retail's Lyf brand has launched a new 4G VoLTE smartphone called the Wind 7S, the successor to the company's Wind 7, and it runs on Android 6.0 Marshmallow. The dual-SIM smartphone has been priced at Rs. 5,699 and has been listed on the company website. The Lyf Wind 7S sports a 5-inch HD (720x1280 pixels) display. The smartphone is powered by a 1.3GHz quad-core Qualcomm Snapdragon 210 processor coupled with 2GB of RAM. The smartphone comes with 16GB of built-in storage, which is further expandable via microSD card (up to 128GB). In terms of optics, the Lyf Wind 7S comes with an 8-megapixel rear camera, tagged with LED flash, and a 5-megapixel front-facing camera for taking selfies. The smartphone houses a 2250mAh battery, which offers "around 9 hours 4G talk time, 5 hours video playback, and 32 hours of non-stop music," as per the company's claims. 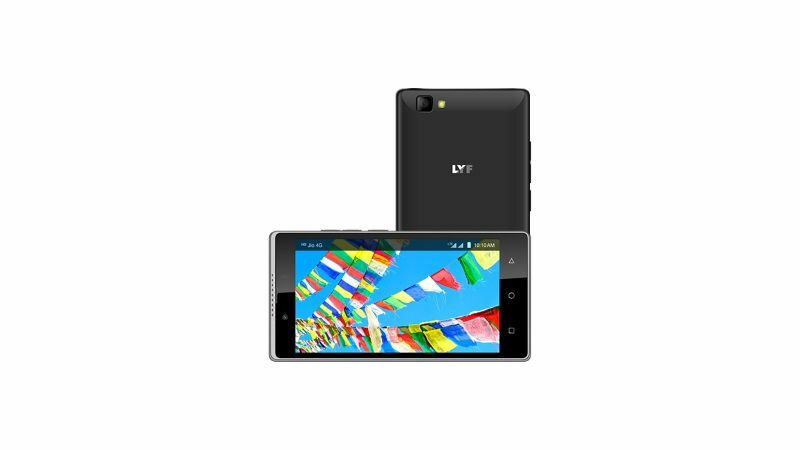 The connectivity options for the Lyf Wind 7S smartphone include 4G VoLTE, Wi-Fi 802.11 b/g/n, GPS, 3.5mm headphone jack, and Bluetooth 4.0.The smartphone is available in Black and Blue colour options. The phone measures 143.5x72x8.7mm and weighs 156 grams. Lyf Wind 7S comes with a feature called 'Multiple gestures' that allows users to instantly wake up their device, start the camera, control the music player, mute incoming calls and access various apps from their locked screen using gestures.